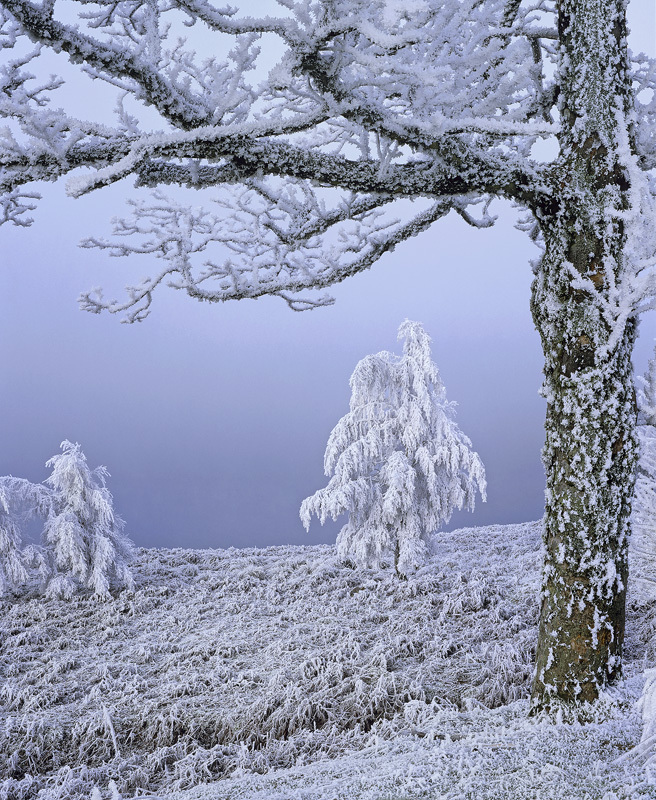 A frost so hard and cold that every twig, blade of grass and bush was weighed down with a coating of hoar frost some 3cm thick. I chose to frame two ridiculously white coated birch trees beneath a more mature cousin that was similarly frosted, behind was Loch a Chroisg sheathed in a frigid freezing mist. It was an awesome sight.